Its been a week of no posts from me as I was away serving my country ( albeit being very bored in the process ). 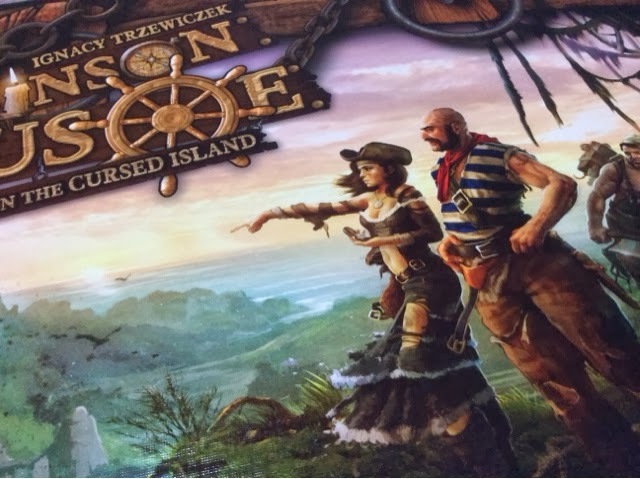 With the very little spare time I had in between days, I managed to chalk up 3 solo plays of Robinson Crusoe: Adventure on the Cursed Island. Today i release 2 videos, one for SKULL and another for GRAVWELL. Both are light and interesting games. Quite fun too! Check out the video link to the right. As usual, go to our guild and leave me comments and feedback there. Dungeon of Mandom Review - Who's the Bravest Delver of Them All ? For those who are unaware, I have a deep deep fascination and fixation with games that originate from Japan. 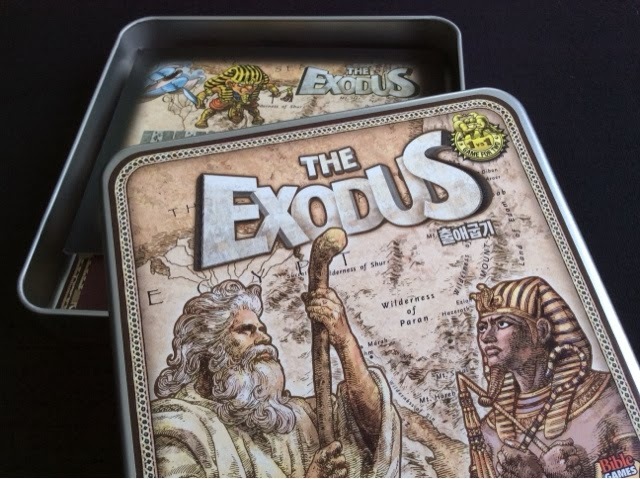 I love how creative their ideas and packaging can be, and some of the artwork in their games are quite simply the best in the board game business ( IMO ). So with every new release from Japan that trickles into my radar, I tend to stand up and take notice more so than other games from the more established publishers. Oink Games is one of the publishers in Japan who has a constant flow of games that are released throughout the year. 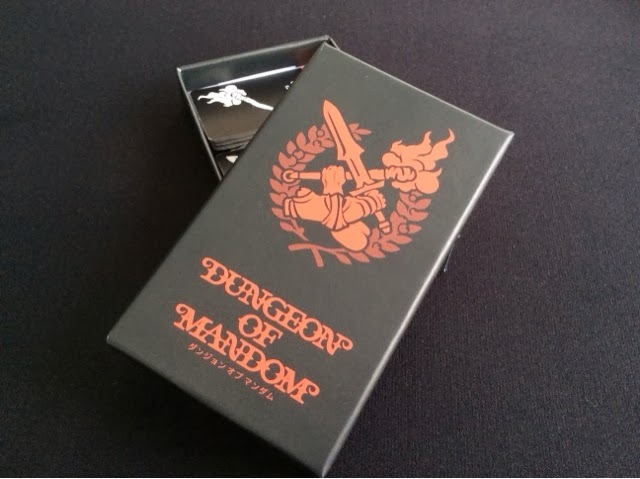 Their latest release ( and last release for 2013 ) is titled Dungeon of Mandom. Push Your Luck Podcast Video: Ladies in gaming Part 2! I have arranged for another Google hangout on air session with some more ladies that I play boardgames with. This time we will open it up to the public to attend and listen in as I interview them. If you are interested or just want to say hi, do click on the event link and join. I think its extremely fortunate that I am able to post a first impression post for The Capitals. Before even being able to finish a proper game of this, we had 3 false starts. This would, under most circumstances, condemn the game to the shelf, alone to befriend the dust particles that will eventually surround it. But through the miracles that be, we actually got round to getting the game played, and completed. Push Your Luck Podcast Episode 28: Our top games, surprises and disappointments from 2013! 1:15:15 - Our anniversary contest winner! - Grace Lin! Push Your Luck Podcast is now an AWESOME member of The DiceTower Network. Do check out the other amazing podcasts in the network. We are also proudly sponsored by Hobbygamesmart.com. Do visit the website for all your board gaming needs and let them know Push Your Luck sent you! Do you agree with us? Disagree with us? If so, leave us comments and questions at our guild on Boardgamegeek and review and rate us on iTunes. Do visit our website www.pushurluckpodcast.com where we will have video and written reviews, session reports and other nifty posts! So since I have been tracking my plays via boardgamegeek, lets take a look at the statistics and also my thoughts. In 2013, I played 563 games. This is just slightly more than 506 games in 2013. Out of which, I played 274 unique games (included in this count are expansions). Out of which, 85 are 2013 releases. Games most played in 2013 in descending order is Love Letter, Coup, Suburbia, Kobayakawa and Bora Bora. Compared to 2012, its Biblios, Plato 3000, Netrunner and Kakerlakenpoker. Given that my situation did not change much in 2013, the number of plays have been pretty consistent. Mostly have been gaming groups at my place and I have stopped going to meetups. To me, gaming is 50% about the game and 50% about the interaction with the friends around you. Therefore, I feel that once you have friends that you like to game with, you will want to keep gaming with them consistently. It can sometimes get tricky when there are so many friends you want to game with but not enough space to host them all at once! I am glad that I had managed to play so many unqiue games but the number of 2013 releases is nothing to brag about. Given that 2013 seems to be a bumper year of releases, I do hope that in 2014 I manage to cover more of the 2013 releases so that I can comfortably contribute to the dicetower Best of 2013 voting lists in April 2014. Games most played for both years does seem to show that I play a lot of the lighter games. This is not accurate though. I do bring out the lighter games more often because they are my go-to games for warming up or cooling down before and after a long gaming session. Furthermore, I do bring them to office for our lunch time sessions and I won't be bringing heavies with me. Thus its natural that the lighter fares get a lot more plays.It is interesting to note though that a heavier game (Bora Bora) managed to get into my Top 5 most played games in 2013. It does show how much I like the game as well as the gaming groups I am with and the level they are at. One disclaimer though that may probably skew the statistics are the online plays that I have been having with various friends. Especially Castles of Burgundy on http://www.boiteajeux.net. I have recently gotten very hooked on it and have been playing almost on a daily basis 2 player or 3 players. Even though I am still beaten quite regularly by my friends, I feel that I have improved quite a lot. The test will be when I next play with Jonathan in real life. That will see if I have learnt the many lessons I have gleamed from my online plays. On the boardgame collection front, I have been consistent in trimming away games I no longer play in order to take in more 2013 releases. 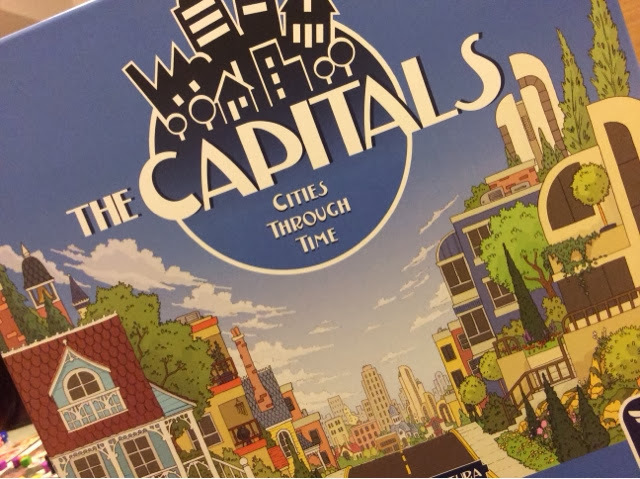 So far the number of boardgames I own is hovering comfortably at 150 region though it means I am spilling over my cabinets into an adjacent room. If I can trim it further, that will be optimal but the second-hand boardgame market in our local meetup group is now becoming more competitive. Enthusiasts now know where to buy games online cheaply and having Amazon with free delivery also means gamers now have access to cheap games. Its not impossible to resell games that you don't play but you will probably have to discount more nowadays. On the iOS front, its the same case where I have too many applications but too little time to play them. My previous purchases of Titan and Stone age have been untouched for some time and new applications are now appearing more frequently. Suburbia was quite a good application but teething issues still currently being faced prevent it from being great. Lords of Waterdeep application is awesome though and I am enjoying the multiplayer matches. I know there will be even more iOS ports of boardgames and as long as they remain afforable (i.e. <USD5), I will still try to make space for them on my iDevice. So all in all, quite a good year of gaming. I hope it will be the same in 2014 (i.e. infect 1 or 2 more people and level them up!) or even better! How has your gaming in 2013 been like? What are you hoping for in 2014? Leave your comments below! 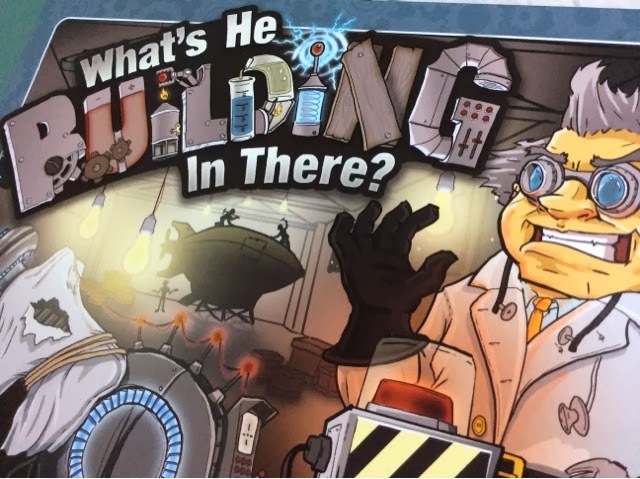 My kickstarter copy of What's He Building In There ( WHBIT ) finally arrived a few weeks back. It got delayed by 6 months due to some faulty components issues. 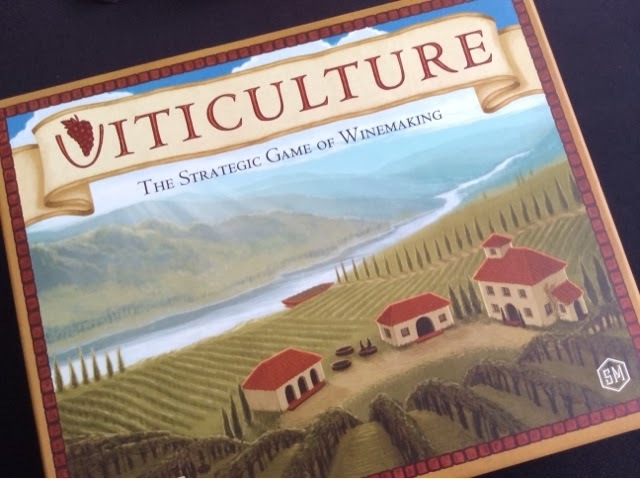 Well, I was very excited about it early in the year, but as it got pushed back and after having gone to Essen and back, my enthusiasm for it completely faded when it finally arrived at my doorstep. Nonetheless, money spent, I decided to give it a go when I had 2 others with me since it stated a playtime of 30mins per person. Better to start off small and quick for an early impression.